Metro Mining has executed a combined native title and land access agreement for the Bauxite Hills mine in North Queensland. 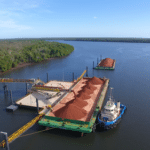 According to Metro, the agreement replaces previous arrangements for the Bauxite Hills and Skardon River projects – the joint projects have been renamed The Bauxite Hills Mine. Metro chief executive officer Simon Finnis said the new agreement was reached jointly with the Ankamuthi People, traditional owners and OMAC, the trustee owner of the land. “The combined agreement simplifies implementation of the undertakings made by all parties and will streamline administration and ongoing monitoring,” Finnis said. Metro is committed to employment and training targets and has started on this process, Finnis concluded.